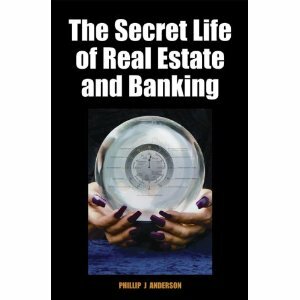 The Secret Life of Real Estate & Banking is a weighty, academic tome by Phillip J. Anderson in which he proves that the real estate cycle follows an ever-repeating pattern approximately every 18 years and he documents this back over the last 200+ years. I have persuaded Phillip to run an event for The Money Gym on Friday 12th November in which we will learn the contents of his book without having to read it, although I am also negotiating with his publisher to have supplies on hand at a reduced price for academics who will want to take it home and study it for sure. I am excited about this day because I have met Phillip before. He’s an Aussie and he speaks his mind, as do I. Also because I am a property investor and now I realise I have only mastered Property Investing Level One – the rather naive buy and hold. If I can advance to Level Two under Phillip’s guidance I realise I can get in and out and in again during the 18 year cycle and in the fallow years I can be using my money more wisely for a better return. We only have room for 30 delegates on Friday 12th November in London and I am happy that I have already sold 9 tickets in advance. Book yours here and you also get a chance to see a short video of Phillip being interviewed about the contents of his book. Read more about Phillip and his book here. He gets great reader reviews and I am in awe of them managing such a big fat book full of stats. Phillip’s brief on the day is to enable me not to have to put myself through that although I already own a copy. I suspect he will make me want to read it as well! Damn.